While the servant Mary – whose last name we never learn – put out most of yesterday’s wet laundry to dry, Jane McHanna rose from bed to iron some of Oakes Ames’s shirts.She had spent part of yesterday placing them in a tub of starch. Evelina took to ironing as well, looking after her own collars, cuffs and handkerchiefs. Ironing, which required a small fleet of flatirons being kept warm on a hot stove, was a welcome chore on a cold day. We don’t often read of Evelina doing the ironing herself. In Washington, D. C., President Millard Fillmore’s State of the Union address was delivered in writing to Congress. His speech was quite literal, full of specific details about foreign policy, exports, mining, gold in California, the acquisition of Texas and the surveying and improvements necessary for the territories and frontier. He lauded the importance of agriculture, noting that “four fifths of our active population are employed in the cultivation of the soil,” and argued for a Bureau of Agriculture. 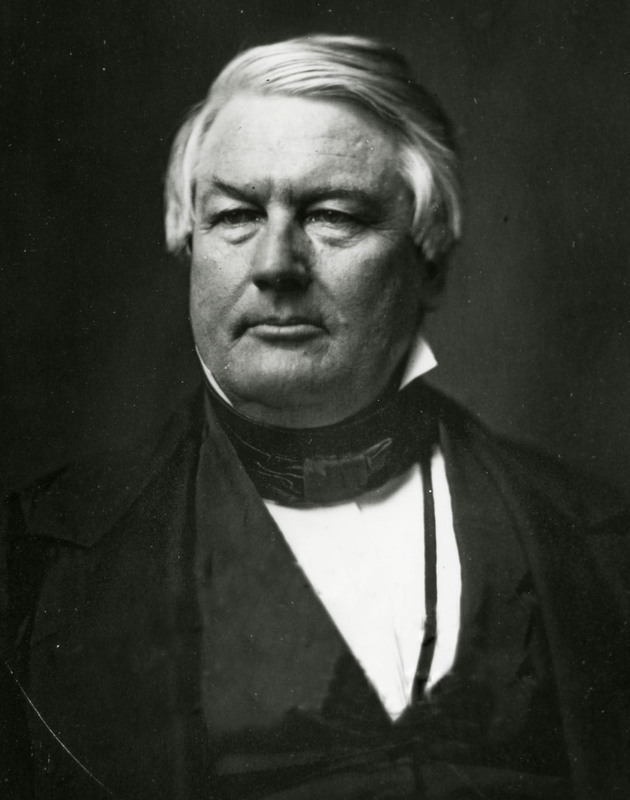 In closing, Fillmore urged patience and reconciliation. 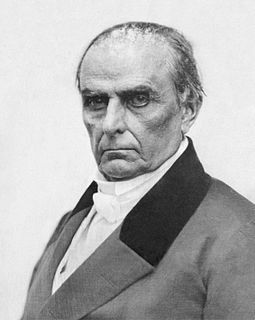 He counseled his countrymen to honor the Compromise of 1850. “Wide differences and jarring opinions can only be reconciled by yielding something on both sides,” he cautioned. On this cold spring day, the Ames family, minus Frank Morton, went to church with Almira Ames, widow of Oakes’s cousin George Ames. Perhaps Almira joined Evelina and her mother during the midday intermission when many women were welcomed into the parsonage by Eliza Whitwell, wife of the minister. Eliza was under the weather but still was under a social obligation to open her house to fellow Unitarians who could not get home and back during the pause between the morning and afternoon services. Mrs. Dr. Deans, otherwise known as Hannah (Wheaton) Deans, wife of Dr. Samuel Deans, was also present at the Whitwell’s. The “Dr.” title in front of her name didn’t mean that Hannah was a physician; far from it. It meant that she was married to a physician. She was a daughter of old Daniel Wheaton who lived out on the Bay Road. Evelina often admired Rev. Whitwell’s sermons but seldom related their content. In these tumultuous months following the enactment of the Fugitive Slave Law, did Mr. Whitwell ever speak about slavery or abolition? We know that other Unitarian ministers were quite vocal about abolishing slavery. On this same Sunday in Philadelphia, three hundred miles to the south, Rev. William H. Furness gave a discourse on the Fugitive Slave Law, speaking from the pulpit with all the authority that his robed position could give him. A graduate of Harvard and friend of Ralph Waldo Emerson, Furness was, like William Whitwell, an accomplished theologian. He was also a passionate abolitionist; was Reverend Whitwell? The last days of winter in Easton appeared calm, with the final snowfall (they hoped) on the ground, nephew Augustus still pulling up a chair to the Ames dinner table, and Evelina and Orinthia sitting near the windows, sewing more men’s shirts. But all wasn’t well in the nation. Since the passage of the Fugitive Slave Act the previous fall, discord over the issue of slavery had increased. In Boston, where Oakes Ames went today, passions ran high among abolitionists. Lewis Bates was certainly a respected minister in North Easton, but he wasn’t appointed until 1859, so the timing in his recollection of Oakes Ames assisting a runaway slave close on the heels of the passage of the Fugitive Slave Act doesn’t jibe. Either Bates got it wrong in the telling or, because he was writing the story many decades later, Chaffin got it wrong in the remembering. The whole tale may be apocryphal, but two ministers believed it to be true. 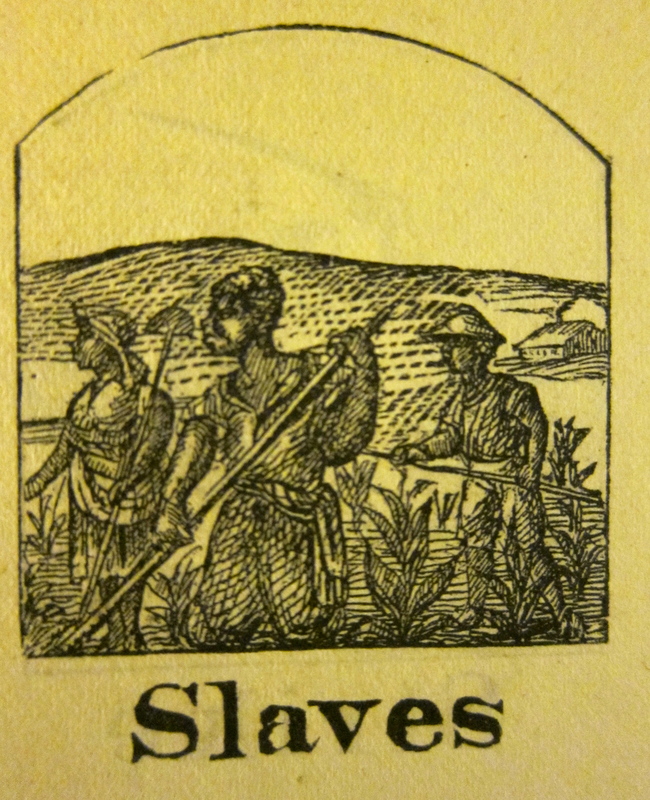 Helping a slave would have been in keeping with Oakes’s generous spirit. made her a skirt out of an old quilted one of mine. While her husband went into Boston today despite poor weather, Evelina stayed in, mended clothes and completed two chemises for Susan. 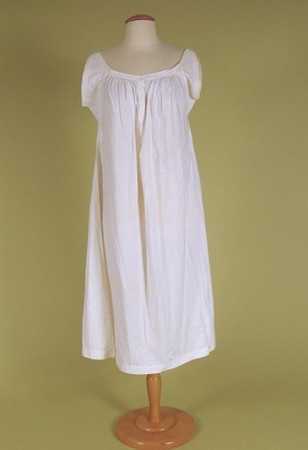 The chemise, a forerunner of today’s slip, was a standard undergarment for women and girls in the 19th century, worn right under the dress (and under the corset, when corsets were worn.) As Evelina suggests, some undergarments were quilted for warmth, an essential consideration in cold New England. On stormy days like this one, women needed all the padding they could accommodate under their wide skirts. Oakes Angier Ames visited the local schoolhouse today with men from the school’s superintending committee: Amos Pratt, a teacher; Thomas Davidson, the town’s postmaster; Joseph Barrows, a “shovelmaster” with legal training who lived in a house built by Old Oliver; Rufus Willis, a shoe manufacturer; and Daniel Lillie, another employee of O. Ames & Sons. Daniel and Oakes Angier were in their early twenties, while the other men were older. Daniel would be close to the Ames family over the years, and ultimately serve as a pallbearer at Oakes Ames’s funeral in 1873. Today, however, in the rain, without their wives, the men appeared at the public school on the last day of this session. Why was Oakes Angier along? He wasn’t a member of the committee, but perhaps he was developing an interest in local politics. Oakes Ames, meanwhile, returned from Boston in the evening, bringing with him a gift of maple sugar – a sign of spring – for the failing Miss Eaton. He may also have returned with news of a serious incident in the city. Shadrach Minkins, a fugitive slave living and working in Boston, was arrested today by federal marshals at a coffeehouse on Cornhill Street. Minkins would be taken to court, only to be rescued by an anti-slavery group, the Boston Vigilance Committee, who hid him and helped him escape to Montreal. 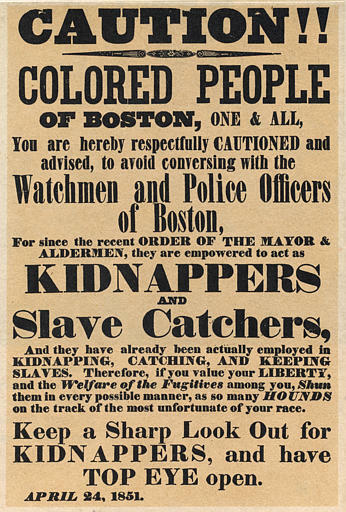 The controversial new Fugitive Slave Law was being tested. Had Oakes witnessed any of this?